Color: To identify the house sparrow, look for the black throat and chest patch, light cheeks and brown nape on the male. The female has a plain brownish chest and dull eye-stripe. Characteristics: The house sparrow often lives in close proximity to humans and can be found in both urban and rural settings. Size: Adult house sparrows have a typical length of 16cm. Potentially Dangerous: Not to people, but to structures. Why Do I Have A House Sparrow Problem? House sparrows are the number two urban pest bird, second only to pigeons. They don’t have many natural enemies and are very adaptive, learning to nest in urban structures, eat urban scraps and they have a large breeding capacity. They like to eat seeds and grains as well as fruits, vegetables, human table scraps and insects. They are boisterous, intelligent birds who roost in noisy flocks on branches of city trees, ivy covered walls and under eaves of houses. What Kind Of Threat Do House Sparrows Pose? House sparrows can be a major nuisance in urban areas with their nesting, eating and living habits. They will clog gutters and drainage pipes with their nests and that can cause extensive water damage to a structure. Numerous fires have also been attributed to these birds because they nest in machinery and cause electrical shorts. The feces of these birds can also build up in heavily infested areas and cause structural damage from the uric acid that is in their droppings. The bacteria, fungal agents and parasites in the feces also pose a serious health risk. 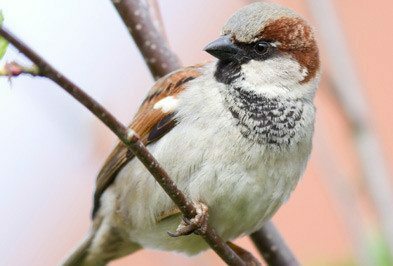 How Do I Control House Sparrows? To control house sparrows, eliminate all present and potential nesting spots at the site. Fill or net off all gaps, crevices and crannies. Remove or reduce all food and water sources. If physical exclusion is impractical or too expensive, a weekly program of nest removal and food source control will greatly reduce population numbers. To learn more about pest bird control in Houston, please contact Holder’s today! Very few people have unpleasant thoughts come to mind when seeing beautiful and graceful birds flying around or perching on top of buildings. The very thought of rodents crawling through a building will send chills through even the most stoic individual. Even more impacting is witnessing the damage from a serious infestation of termites. Nevertheless, birds cause incredible damage and cost business owners a huge expense in repairs. This does not even include the risk of dangerous and even life-threatening diseases of which birds are known to transmit. Pest birds can pose a serious threat to your commercial facility. Anyone who has dealt with pest birds including pigeons, sparrows and grackles can understand just how hard it is to get rid of birds. Not only are they an unsightly addition to your signs and exterior, but pest birds also pose many health hazards when they find a business facility for nesting. But the good news in all of this is that the Houston pest control professionals at Holder’s Pest Solutions has the knowledge and expertise in eliminating the threat that pest birds pose to your business including your hard earned image and reputation.